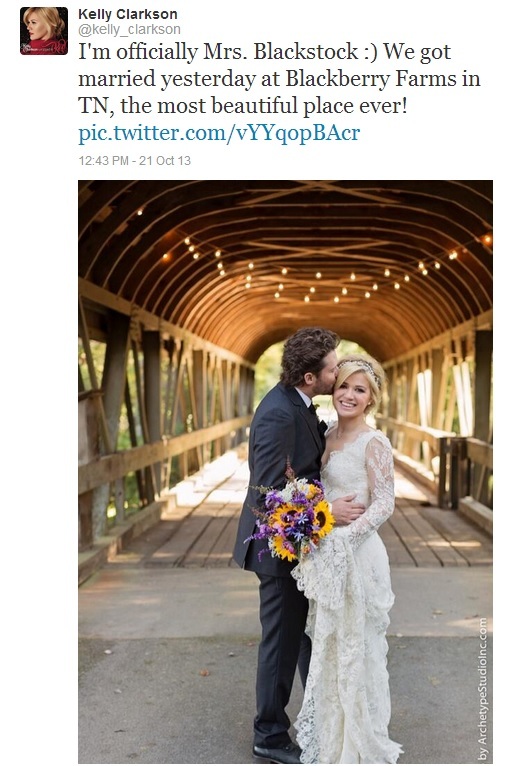 Taking a break from fashion week for one hot minute… check out the three celebrities that “Tied the Knot” this weekend! Danielle Fishel from “Boy Meets World” married her hunny, Tim Belusko! She seemed very happy, especially after her two tweets below! Midnight blue was her main color, with the theme being “night.” Danielle wore a lace Enzoani gown with a purple floral bouquet. The lovestruck couple tied the knot in front of 250 people in downtown Los Angeles. Congratulations Danielle & Tim! This image is from Danielle’s Instagram! It was the morning after they got married- so in love! 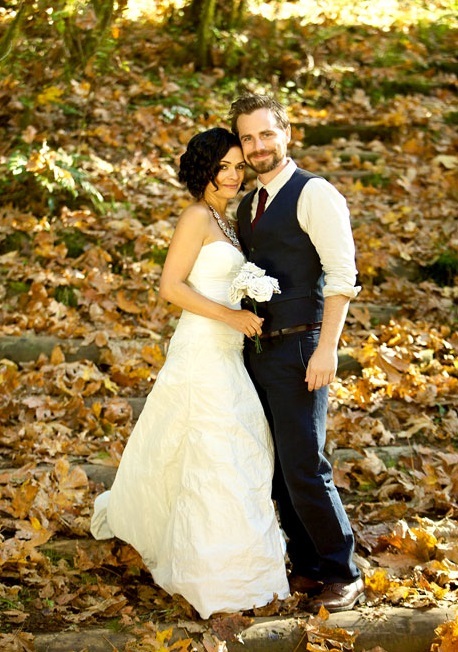 Another “Boy Meets World” cast member got hitched this weekend, Rider Strong! Gotta love his hair back in the day! Rider married Alexandra Barreto, in a small camp-themed wedding in Oregon. 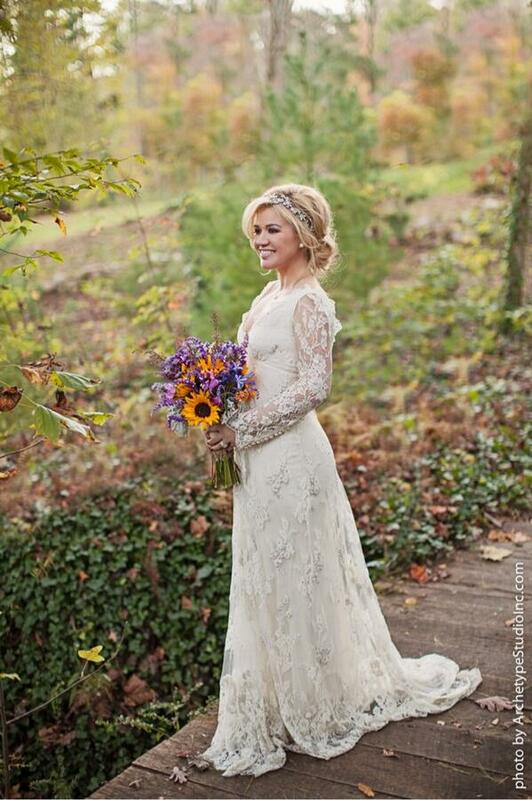 Alexandra wore a Nicole Miller gown! Guests slept in bunks, enjoyed a ropes course, played games, and even had a talent show. Sounds like fun, Rider! Congratulations to the both of you! Last but not least, our first American Idol “tied it up” this weekend in an intimate ceremony at Blackberry Farms in Walland Tennessee. 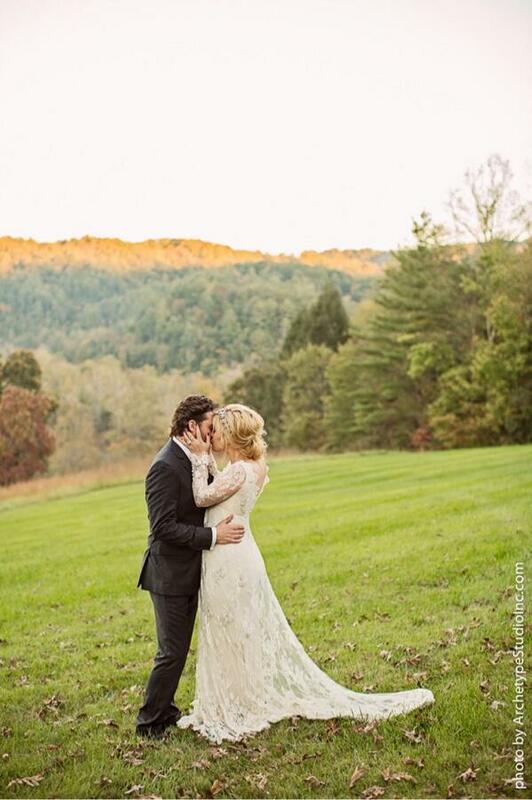 Kelly Clarkson wed Brandon Blackstock while wearing her gorgeous Temperley London dress and Maria Elena headpiece. Her engagement shoot appeared earlier in the year and rumors swirled last week when she had reportedly obtained her marriage license. Congratulations Kelly & Brandon!